For our retailer promotions, we do not allow extra spacing between paragraphs. Our goal is reader satisfaction, and having a extra space between regular paragraphs (not headings) is not standard formatting, and it can be distracting to many readers. There is a simple way to tell if you have spacing after your paragraphs. Go to Amazon (or Nook or other platform) and look at the preview. Below are two examples. The one on the left shows paragraphs with spacing after each other. The one on the right shows standard formatting with no spacing between paragraphs. 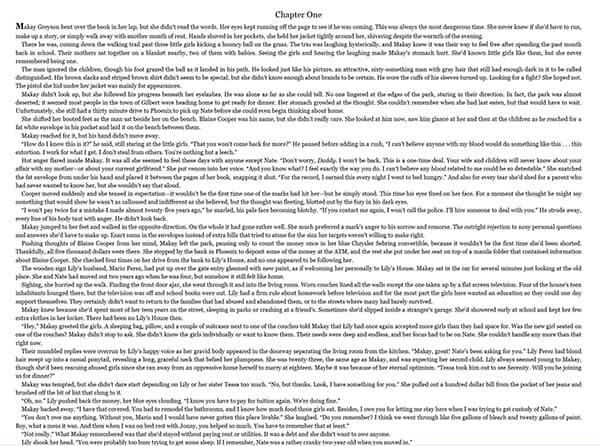 Ebooks normally look a lot like print novels (which also shouldn't have double-spacing or spacing after paragraphs). For more reason why this is important and for more examples, please see our blog on standard vs block formatting.